We have recently talked about interesting ideas about jobs you could do while being in the relaxing environment of your home. But behind every “WHAT” there should be a “WHY” that backs it up. Because the why gives you a reason for your actions and it reaffirms them. 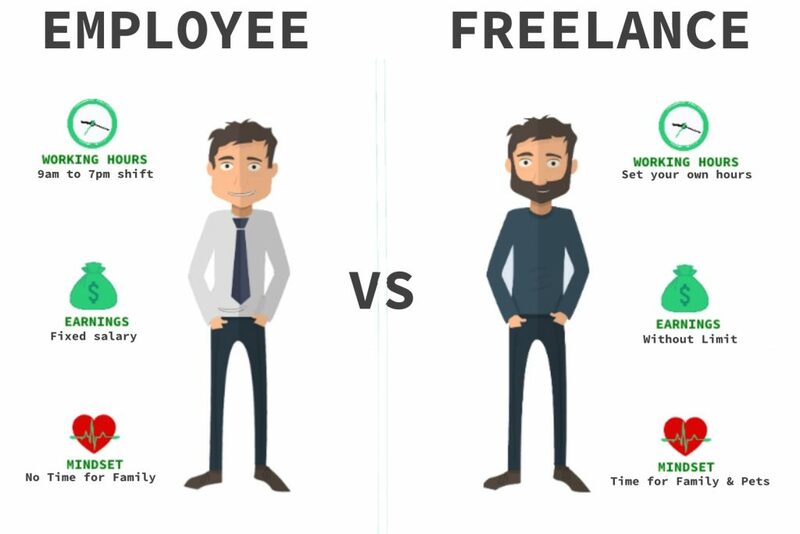 That’s why we will try to offer a “WHY” you working as a freelancer is better than full-time working. The first thing that comes to mind to almost everyone is being your own boss. And this is very, very important feature of the freelancer’s way of functioning. You have all seen “Horrible Bosses” right? Well if you haven’t, you should. There is a surprisingly big number of people facing the same problems at work as the characters of this movie. They’re often time molested, pushed harder than they could endure, forced to work additional hours in terrible conditions. If these things aren’t enough to not want to be working for other people then I don’t know what is. Of course there are these nice bosses that will take care of their subordinates and will maybe reward them for their hard work. But there are those that won’t and I’m not willing to take that chance. 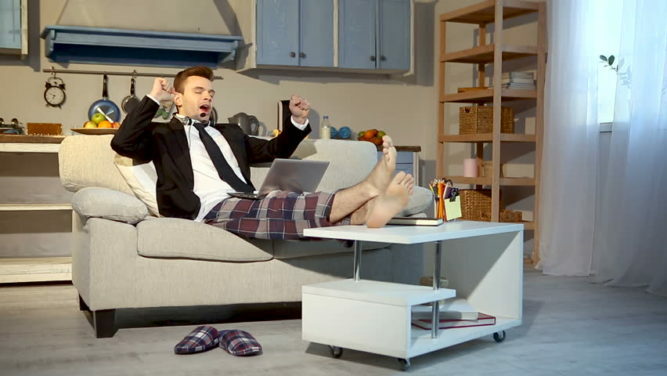 On the other hand, being a freelancer is far more relaxing and flexible. You can work whenever you want, however you want and still be respected for your work. Sure there are clients that will demand things from you, but if you are able to set up a good communication with them you will be able to influence the conditions of your work environment. Furthermore, you are the person that takes credit for the successfully finished work and not your boss that is only there to show the statistics to their boss and make themselves look good in front of them. And being valued and respected for the work that you did is one of the biggest rewards you can get on a professional plan. One other benefit is creating your portfolio of completed projects. A lot of companies tend to keep the copy rights of the projects to themselves and the people who worked on them receive only money for their work. So if they want to leave the firm and work somewhere else, they don’t have anything to show for themselves. Isn’t that just sad? To not be able to show proof of your previous work. One of the perks of being a freelancer is working for your portfolio alongside your profit. And that’s what gives you energy and motivation to hustle more and more. How would you like this being your office? 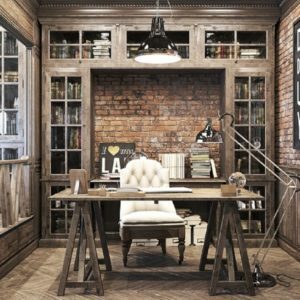 I know I would love to work in an “office” like this that was in my apartment. Listening to music while working, drinking coffee and eating snacks, making as much breaks as I want. Does it sound too good to be true? Well that’s true for me and that’s one of the reasons I am writing this article. This way of work has lead to a great life satisfaction for me, followed by a big rise of my self-esteem. The good money are just the cherry on top of the cake. The cake is my independence, freedom and the respect I get from my clients. There is one more advantage in this way of work. It’s a little bit self-centered and there is a good chance that only I see this as an advantage. Everyone around me are used to go to work and no one understands how I function, how I earn and why I’m so happy and optimistic about my life. That’s because everyone are just going to work, most often a work that they hate, a work that doesn’t lead anywhere, a work that doesn’t give them satisfaction. If it happens you to have a fulfilling job that you enjoy doing then this article isn’t for you. But if you feel like you’re just wasting your time at work, then you should definitely consider switching jobs or if you ask me switching the way of how you’re doing your job.